You played a very long match today against Adam Murrills. It was 101 minutes of brutal squash. How do you feel now? Are you ready to play another five setter tonight? Thank you very much. As I don´t have the skills of a Jonathan Power, I try my best to be strong in other parts but I still train in the other areas as well. I can´t really tell the figures as it varies in which part of the season I am in. But to be in good shape is essential these days, isn´t it? You are member of the winning team in the European club championships for 2012. 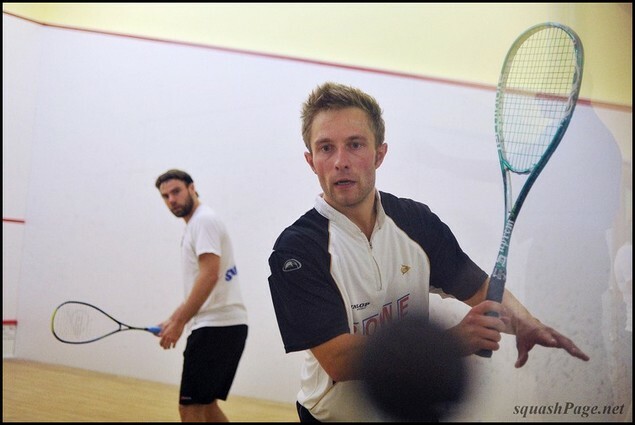 On the team, there is also Nick Matthew, David Palmer, Marcus Berrett and other good players. How often can you play/train with them? What is your relationship with these guys? The relationship is very good - we all wanted the title this year. 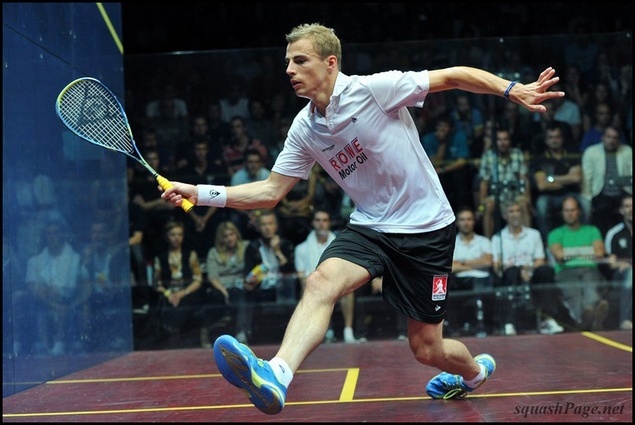 To train with Nick Matthew and David Palmer is difficult as they both are living abroad. But Marcus Berrett is coming quite often to Worms to train there, so when we meet on court that is definitely a decent training session - nobody plays the ball tighter than he does! We have seen you playing in Prague several times in the last two years. You play for Strahov squash club, also you took part in the Synot Tip Open 2011, you were a member of Worms during the ECC this summer. Prague is becoming your second home? When will we see you in Prague again? When is the next tournament here? 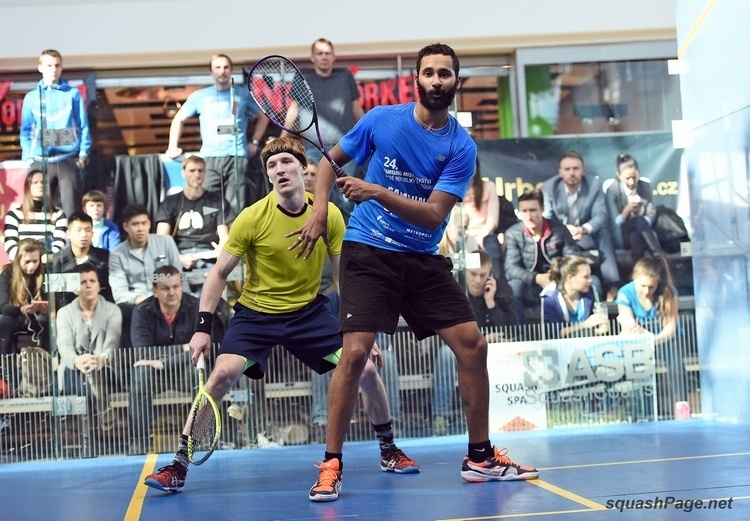 So far you’ve achieved two finals of Satellite events on the PSA circuit, when will we see you on the highest podium spot? 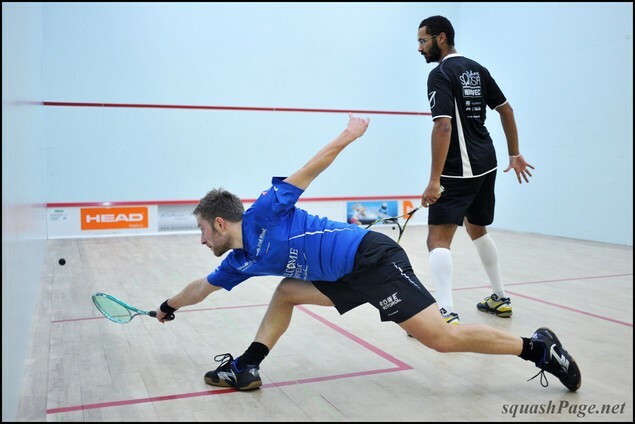 What do you consider as your biggest achievement in squash so far? The biggest three things up to date were winning the league with my German club Worms in 2011, the third place with the German National team in May 2012 and here in Prague in September 2012, to win the European Club Championship against the hosts Buldoci Praha after beating them in a very close final. On your website, we found some information about you as a coach. Could you provide us with more information? How often do you coach, how many people? Did they achieve any success so far? 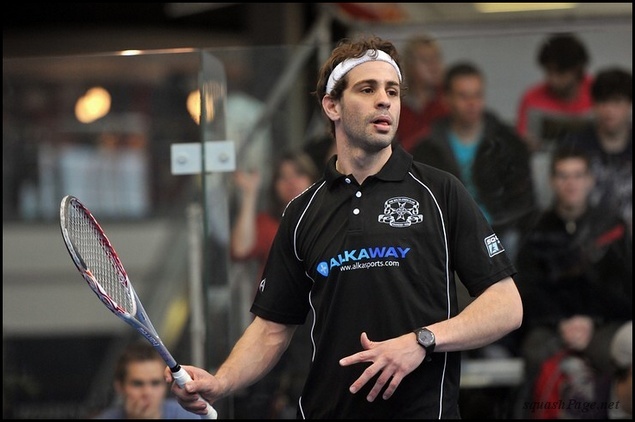 Do you intend to become squash coach after you finish your carrier as a player? That´s maybe an option. I stopped with individual lessons in 2010 but then started to run camps in the summer as well as some workshops during the season. This is still work which I like to do as I can share my experience as a player to other players as well as providing them with the latest sport scientific exercises. For me, It doesn´t make a difference age or gender - as long as they share the passion about the game of squash and are willing to improve, then they are welcome. 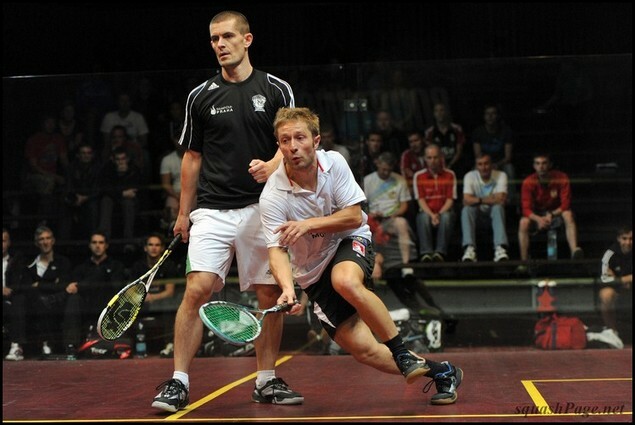 You are in the Top 5 in Germany now for a long time - what is the popularity of squash in Germany? In 2012, Germany, with you onboard, finished with a great third place at the European Team Championships in Nuremberg, can we expect this position next time again? In 2013 in Amsterdam, the German team definitely will try hard again! Squash in Germany has "fans", no doubt about that. But it´s still a niche sport, mainly depending on the owners of the commercial clubs. On the other hand, there are a few passionate people, like the sponsor and manager of my German club Worms, Mister Michael Zehe from ROWE Motoroil, who sees what a great sport our game of squash is. And he acknowledges what squash demands from the players performing at the highest level. Without him and a my personal sponsor, the WELCOME HOTEL group, things will be much more difficult for me. 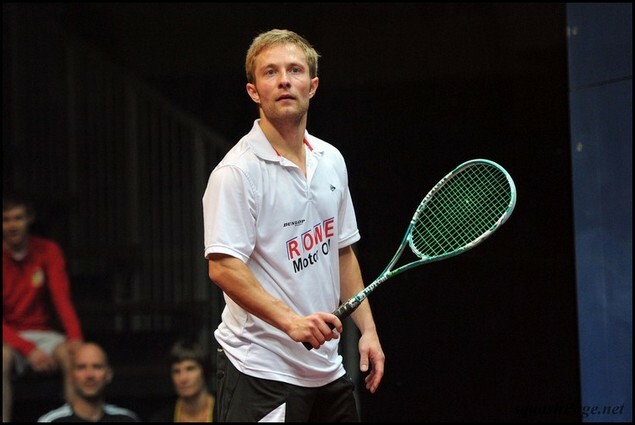 André Haschker playing in the Olympic Games 2020, what do you think? You have a family, a wife and one daughter. 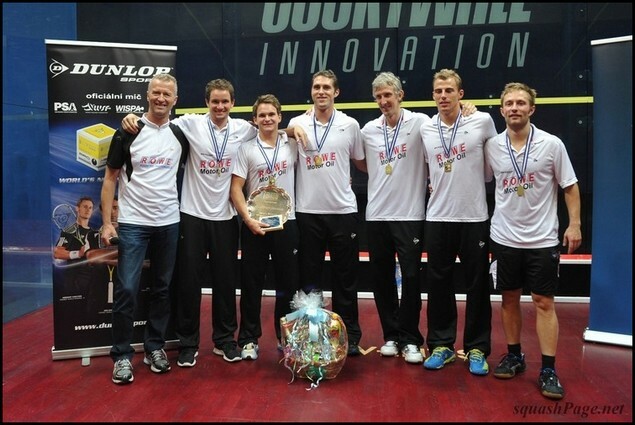 How do you combine professional squash (traveling, training) and family? Does your wife play squash as well? What about your daughter? Has she already started playing squash? Thank you very much for the interview !